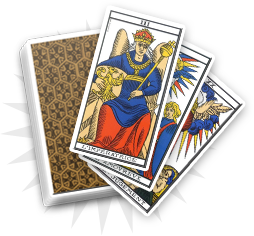 In cartomancy, the ten of diamonds is a very good omen and indicates success after a period of difficulty. It refers to the realization of your projects thanks to your efforts and hard work. 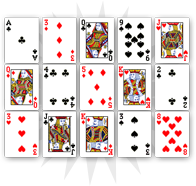 The ten of diamonds brings back a project that was not supported by the consultant’s entourage anymore. It can be an unexpected birth, a positive family project or income coming from an investment. The change of situation linked to the realization of the project should bring the consultant a lot of personal satisfaction. You are in a situation of doubt and you ask yourself if your efforts will ever be rewarded. 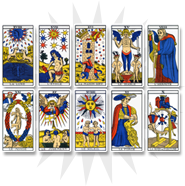 You are mistaken: the ten of diamonds indicates the success of your hard work and the realization of your projects. In your family, you may soon get the announcement of a birth. On the professional level, your efforts could come to a successful conclusion at last and you will be very satisfied. 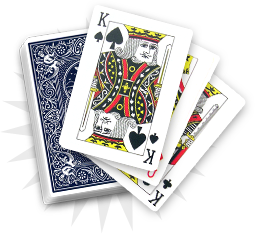 The ten of diamonds indicates success for one of your relatives. He/she is having difficulties in his/her personal or professional life and thinks that his/her efforts will not bring any success. On the emotional level, this person could finally seduce the loved-one. On the professional level, your relative could get some good news indicating the success of his hard work. In any case, you have to support your relative so that he/she does not lose hope.